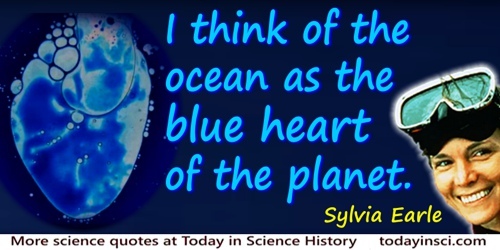 I think of the ocean as the blue heart of the planet. Well, how much of your heart do you want to protect? From narration to the short, hand-drawn animated film for World Ocean’s Day 2013, Ideas For Change. We need to engage and inspire today’s youth to do a much better job of protecting the planet and our future than we have. My grandfather raised me believing in the power of youth to change the world. … Education and young people are key to making sure we don’t keep repeating our mistakes.